QNAP has been around since 2004 which may not sound an extremely long time at all, but in their time spent inside the networking sector they’ve made inroads into a rather competitive arena. Their current portfolio includes a large selection of network-related devices for enterprise, SMB, Home and SOHO users. This is actually our first outing with QNAP and after hearing good things about the brand we’re anticipating good things today. 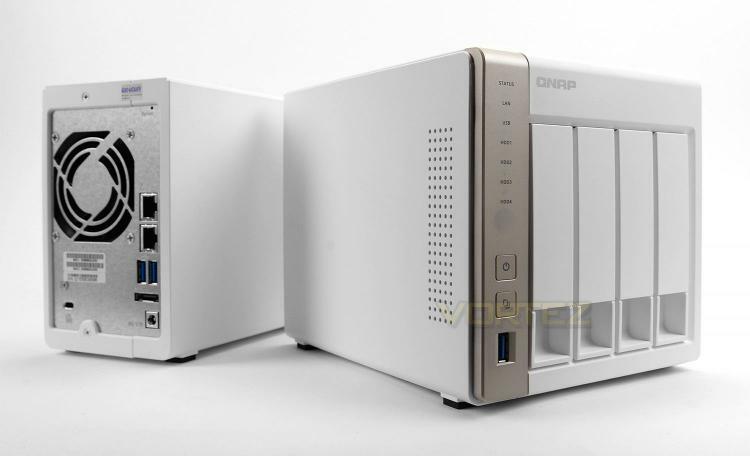 Today we’ll be taking a look at what QNAP has to offer in the TS-231 and TS-451 – two NAS units which are designed to cater for Home and SOHO users. Both products utilise dual-core processors and fast memory on the hardware-side and take advantage of the new QTS 4.2 OS on the software-side. QNAP Systems, Inc., as its brand promise "Quality Network Appliance Provider", aims to deliver comprehensive offerings of cutting edge network attached storage (NAS) and network video recorder (NVR) solutions featured with ease-of-use, robust operation, large storage capacity, and trustworthy reliability. QNAP integrates technologies and designs to bring forth quality products that effectively improve business efficiency on file sharing, virtualization applications, storage management and surveillance in the business environments, as well as enrich entertainment life for home users with the offering of a fun multimedia center experience. Headquartered in Taipei, QNAP delivers its solutions to the global market with nonstop innovation and passion..